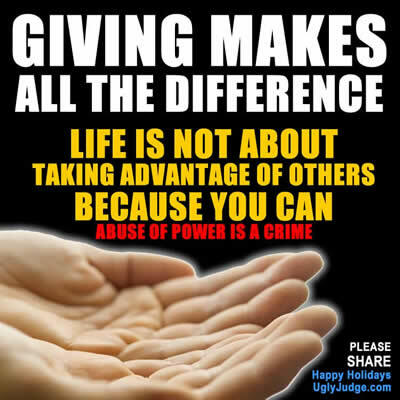 The difference between GOOD AND BAD is like GIVING AND TAKING. It takes a better person to think of others rather than to think of your self. his Selfless Giving and devotion to the people of the United States of America.